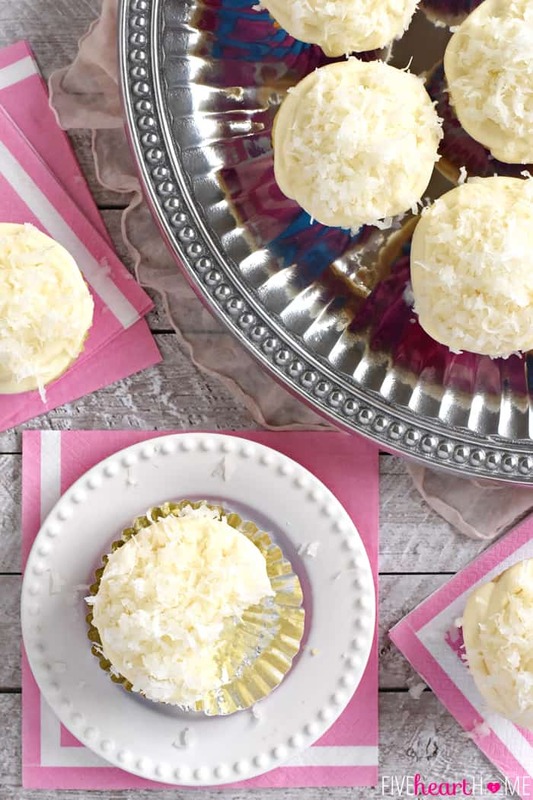 These easy-to-make One-Bowl Coconut Cupcakes are extremely moist (thanks to coconut milk) and topped with tangy cream cheese frosting and sweetened coconut flakes. 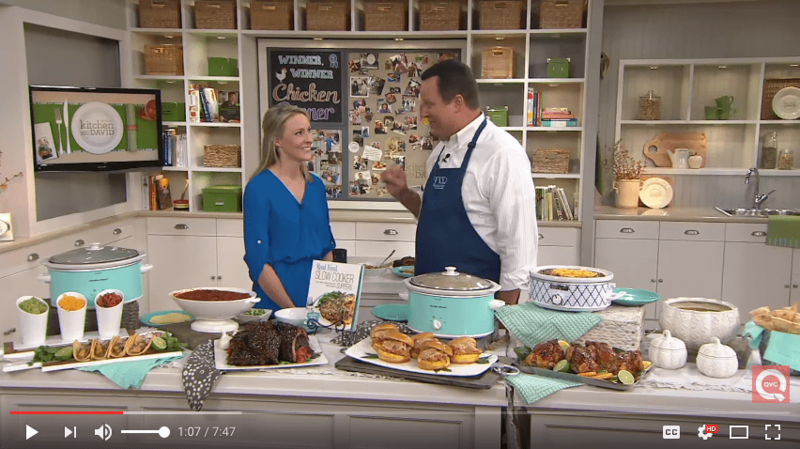 I really try not to say that every recipe I share here is “the best.” But sometimes I just can’t help it…because it happens to be true. 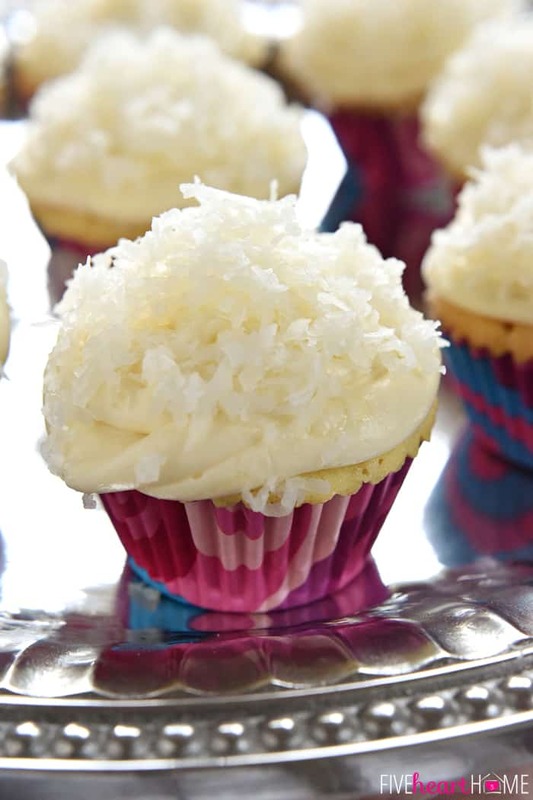 😉 And if you like coconut cupcakes, the ones I’m bringing you today are, honestly, the best I’ve ever had. As a bonus, I happened to make them myself! While dirtying just one bowl! And guess what? You can, too! Seriously, though, y’all…these are darn good cupcakes. Everyone who tried them raved about them. 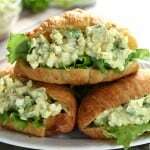 Made with rich, canned coconut milk, they are exceedingly moist with a pleasant (but not overbearing) coconut undertone. 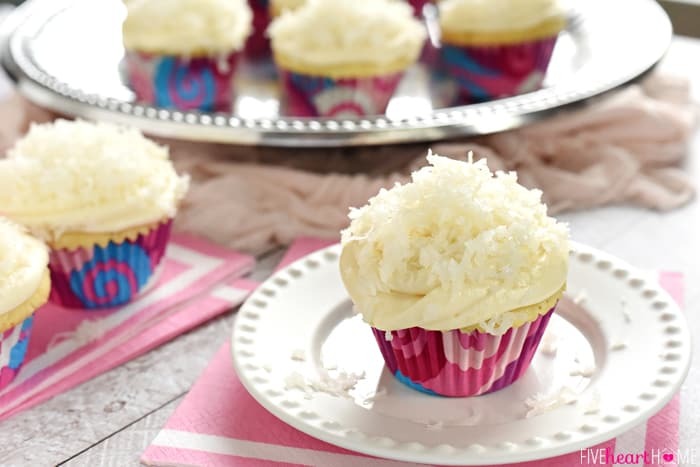 Coconut flakes in the batter adds texture, and topping them with silky cream cheese frosting balances out the sweetness with a slight tang. 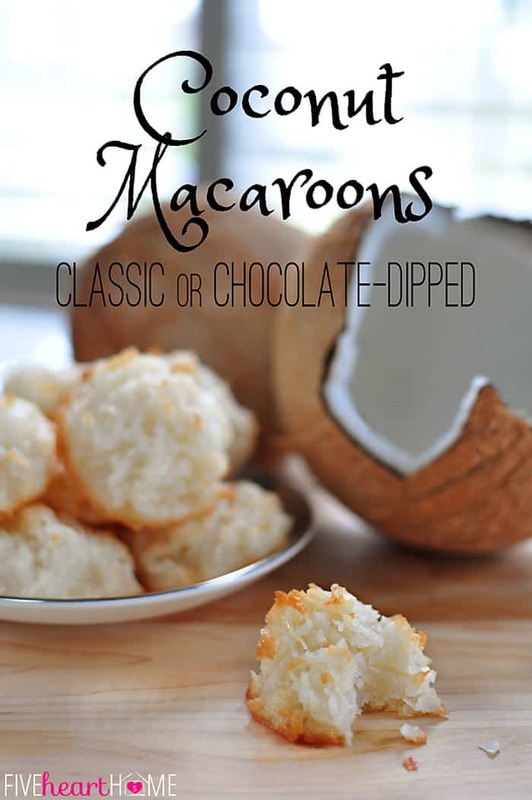 Finally, a nice mound of coconut on top perfectly finishes off these lovely coconut confections! When I decided to bake a batch of Coconut Cupcakes for Easter weekend, I initially thought I’d just look up a recipe on the ol’ world wide web with no plans of posting it to Five Heart Home. But then I realized that I could adapt my own One-Bowl Vanilla Cupcakes recipe into a coconut variation, snap a few quick pics, and still use said Coconut Cupcakes to celebrate Easter while simultaneously knocking out one of my blog posts for the following week. Two birds? Meet one stone. 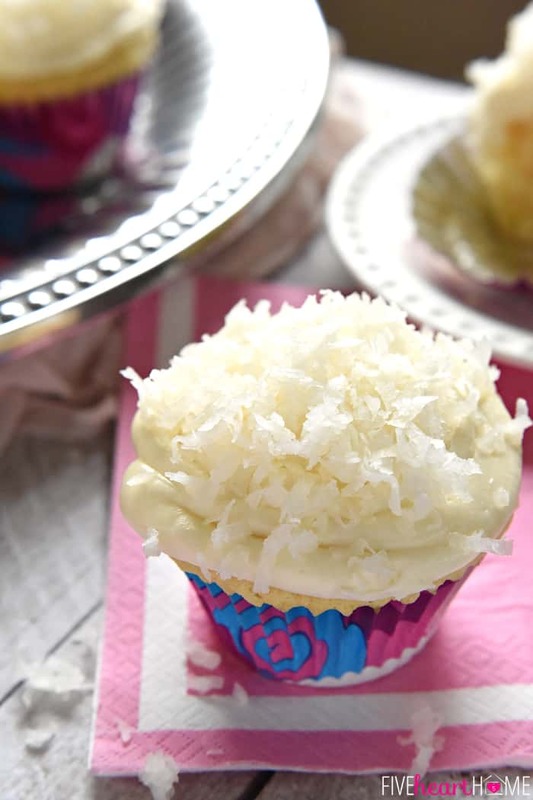 Who knew that making homemade, from-scratch Coconut Cupcakes could be so easy?! Simply sift the dry ingredients into the bowl of an electric mixer (while making your own version of cake flour by adding a bit of cornstarch to your all-purpose flour), add the remaining ingredients, and mix! 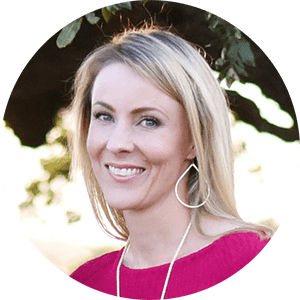 There’s no reason to get fussy…these cupcakes turn out great without having to worry about creaming butter or alternating wet and dry ingredients or beating each egg for 17 1/2 seconds before incorporating the next one. 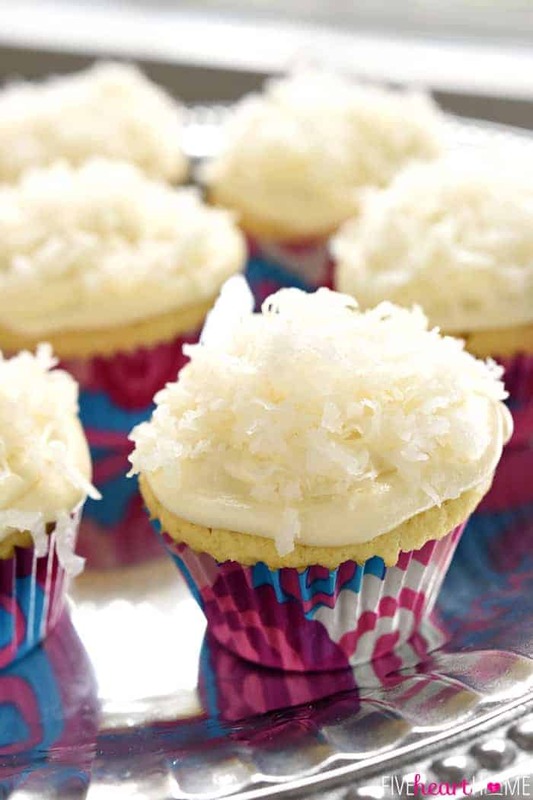 Aside from the addition of coconut milk and coconut (obviously), the main difference between this Coconut Cupcakes recipe and the vanilla cupcake recipe from whence it came is that some of the pure vanilla extract has been replaced by almond extract. 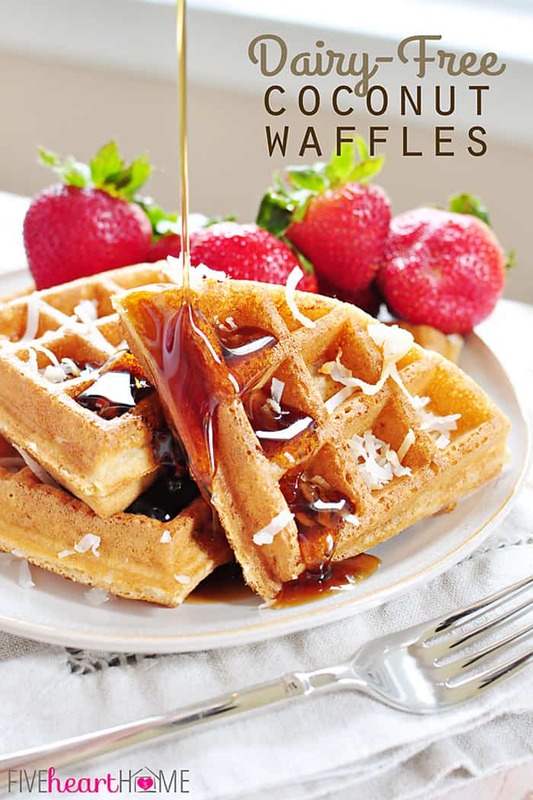 Almond extract has such a unique flavor, and I feel like it really complements and brings out the flavor of coconut. That being said, a teensy bit of almond extract goes a looooong way, so be sure to measure carefully. 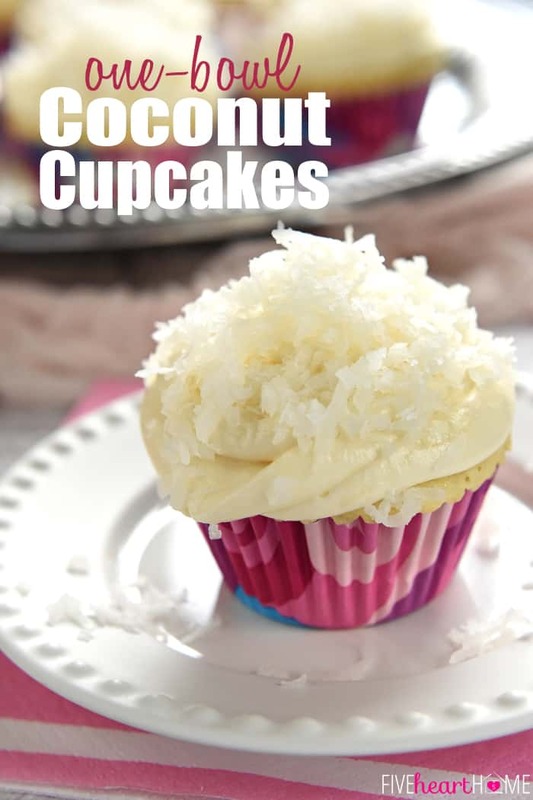 Another small difference between the two recipes is that, because these cupcakes are so moist and coconut-loaded, they did need to bake for a tad longer than the original vanilla cupcakes. Feel free to use whatever type of frosting floats your boat, but if you don’t have a preference, I highly recommend my beloved Classic Cream Cheese Frosting. 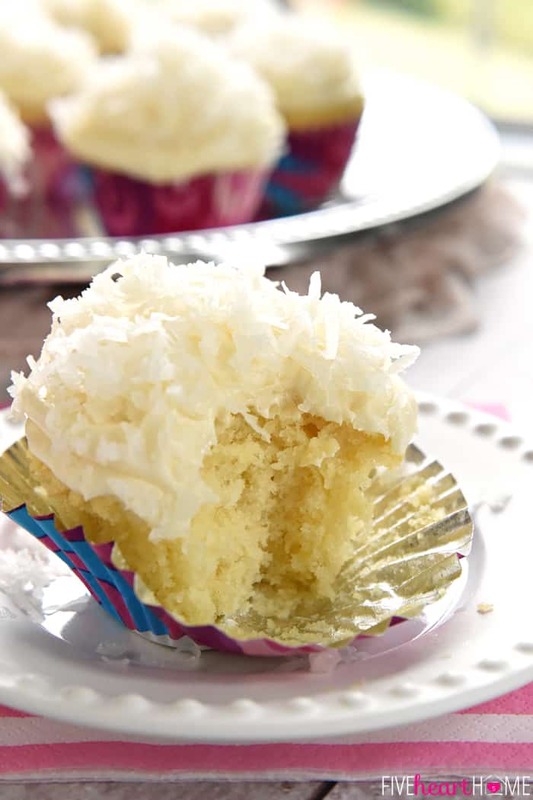 It has proven to be amazing on so many different types of cakes and cupcakes, and I found these coconut cupcakes to be no exception. Perfectly perfect perfection. Adjust rack to center position of oven and preheat oven to 350°F. Line muffin pans with 24 cupcake liners. 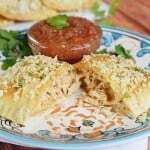 To the sifted dry ingredients, add the softened butter, sour cream, coconut milk, eggs, vanilla, almond extract, and about 2 cups (7 ounces) of the coconut flakes. Beat at medium speed for 30 seconds or until smooth. Scrape down the sides of the bowl with a rubber spatula and beat for 15 more seconds. Evenly divide the batter between the 24 cupcake liners (I find it easiest to do this using a cookie scoop). Bake for 20 to 24 minutes or until cupcakes are light golden and test done with a toothpick inserted in center (mine were perfect at exactly 22 minutes). Cool the cupcakes for a few minutes in the pans before transferring them to a wire rack to finish cooling completely. 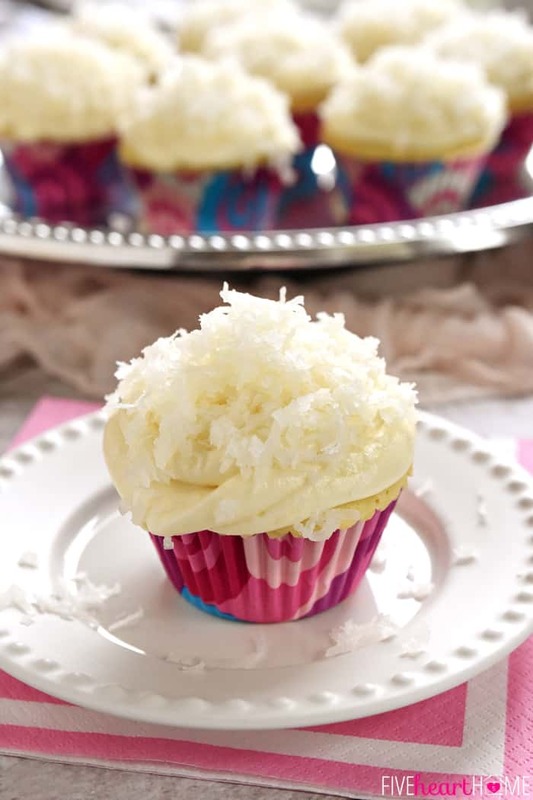 Frost with Classic Cream Cheese Frosting and top with remaining coconut flakes. 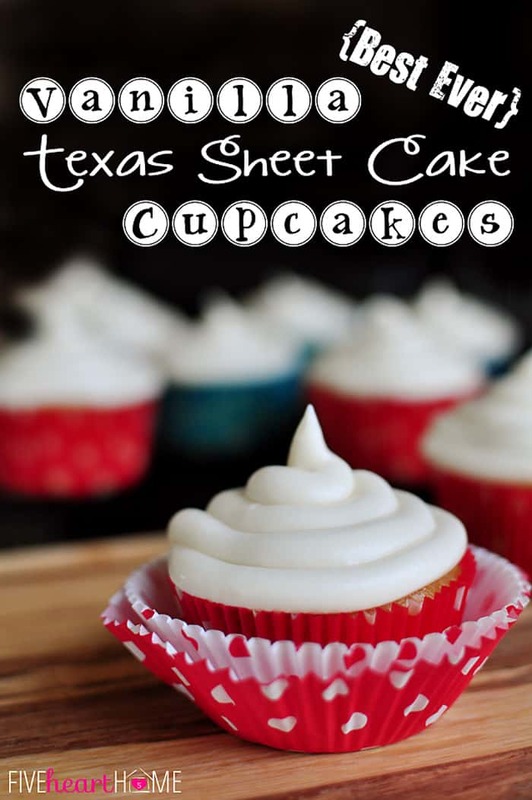 Cornstarch makes the cupcakes fluffy and is added to regular, all-purpose flour in lieu of using cake flour. 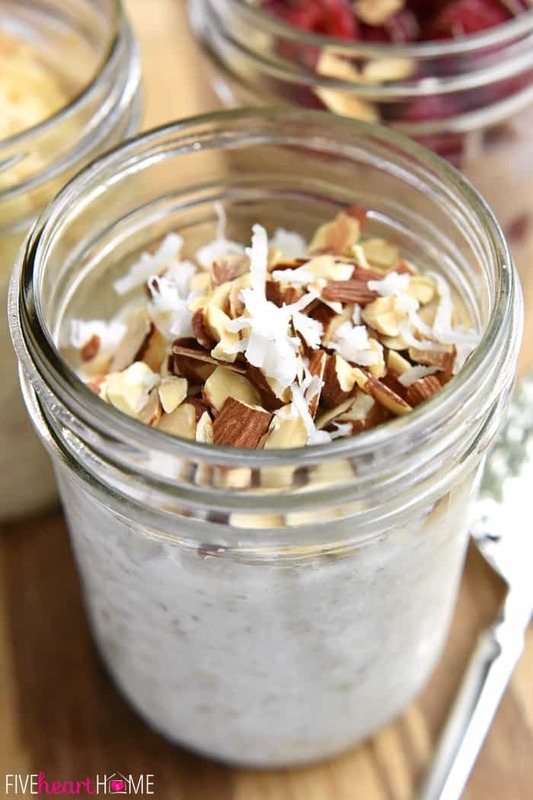 Coconut milk comes in different varieties, but for this recipe, I recommend using the full-fat coconut milk that comes in a can (typically sold in the Asian foods section of the store). Since this type of coconut milk separates, with the fat rising to the top, you'll want to vigorously shake the can before opening it. I actually remove the whole top of the can with a can opener (as opposed to poking a hole in it) to make sure that the coconut milk is not separated before pouring it into the measuring cup. If it is separated, I rapidly stir it before measuring it out. Refrigerate unused coconut milk for another use. Frost your cupcakes using an offset spatula, a knife, or a piping bag. Or, as I did here, scoop the frosting into a gallon-sized plastic baggie, snip off the corner of the bag, and pipe the frosting onto the cupcakes in a spiral, starting from the outside perimeter and working towards the center. Have a wonderful weekend my friend. I’ll just be here drooling over these. Ha ha, Gina…one day, I will deliver some to your doorstep! 😉 Hope you’ve been having a fabulous week! Hi just stopping by to tell you I made these for my daughter’s graduation party. She (and I) are coconut lovers. They were delicious, so moist and tasty! Many people came up to me to tell me how delicious they were. You are so sweet to swing back by and let me know that these were a hit, Maria…I’m very happy that everyone enjoyed them! I haven’t made them in awhile but I’m going to have to change that soon now that you reminded me how good they are… 😉 Thanks again for the thoughtful comment and congrats on your daughter’s graduation! 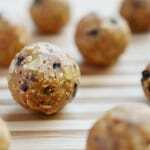 Ok…want to make these! But was a bit concerned you called for 1/2 cup of cornstarch..seeing as someone else made them and it came out ok, I’m thinking it’s true to use 1/2 Cup? 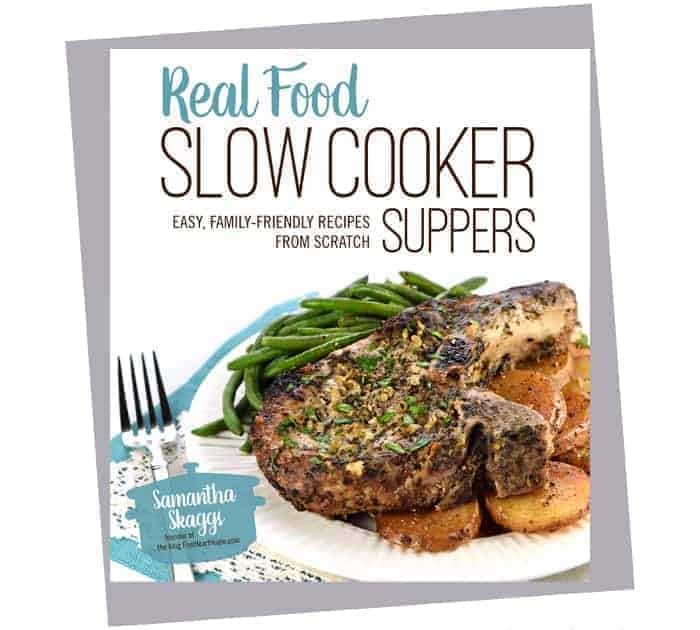 I probably shouldn’t have read this while I am starving waiting for my dinner to cook. Now I just want to scrap it and make dessert! Can you just use 3 cups cake flour instead of the AP flour+cornstarch? Hi, Samantha. 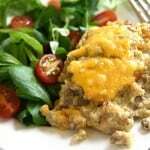 I have used this recipe and it came out great. I was just wondering if I can use the same recipe for a layered cake. Thank you in advance.